It is such an honor to photograph extended families. Over the holidays I was contacted by a whole bunch of families to see if I could photograph their whole gang while everyone was in town celebrating together. I think it is so important that these families make it a priority to take time out of their visit to snap some pictures together. I come from a big family, and although we are together all the time, we hardly ever take pictures with everyone in them. And when we do get one of those pictures, it always becomes my favorite photograph of the year. So, I am always eager to work around everyone's schedules and fit these shoots in, even if everyone is only in town for a weekend. The Halberg family was incredible to work with. They kept each other laughing the whole time. I love seeing aunts and uncles love on their nieces and nephews and this was certainly the case with this bunch. I was exceptionally grateful for their fun interactions when it came to getting smiles out of middle school boys! All those kiddos absolutely adored Grandma and Grandpa and were eager to cuddle up with them any chance they got. 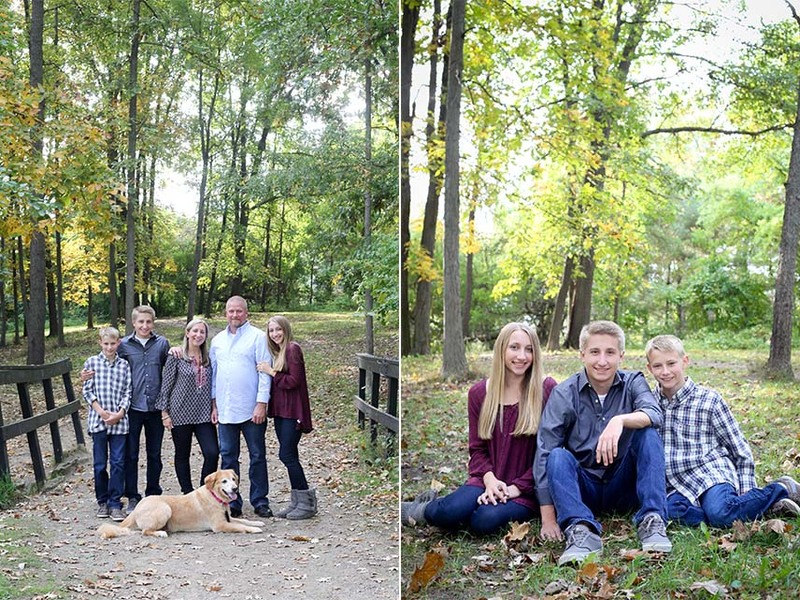 It really was an honor to be a part of their family's Thanksgiving celebration, and I hope you cherish these photographs for years to come, Halberg family! Some families have what I lovingly refer to as the dark hole stage. A season of life where they have only a few iPhone photos of their kids and absolutely no photos of their entire family together. It usually starts when your kids get to middle school. They start sports and clubs and you have no free time to even think about scheduling family photos. The Lampelas are right in that season and I love that they made it a priority to schedule family pictures. This is such a fun season of life and we had a blast capturing it. We met at Milford Central Park for their photos and they brought the whole gang, even their pup! We had to dodge a few raindrops, but you would never know it from the finished product! My favorite part about the session is that these siblings kept each other laughing the whole time. Their relationships were kind and caring and you could tell their house and family is one full of love. I am beyond thankful for my siblings and our relationships, so it was fun to see these guys enjoying that relationship so young. Thankful I could capture this season of life with you, Lampela Family! I posted a little version of this story over on my Instagram page (I am @caryn_ashley over there,) but I had to share here, too. I photographed the Ells family 5 years ago. Their kids were much smaller and didn't look like stunning young adults yet. When they showed up for their shoot this year I hardly recognized them. 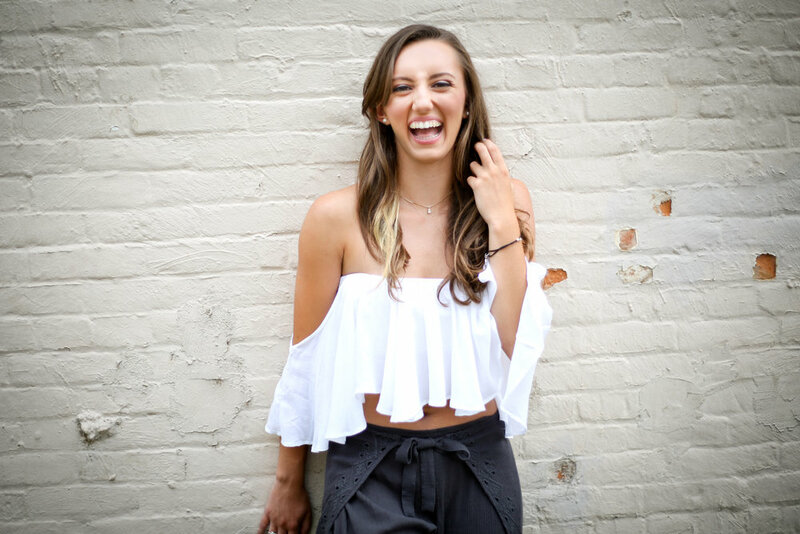 We quickly started reminiscing about their last shoot and couldn't help but laugh when we remembered there were some tears shed during that shoot. Their youngest son wasn't agreeing with the shoes mom chose for the shoot and he let us know. I loved that we were able to laugh about it together now, and I loved that there were no tears this year! I get to share in the good, and sometimes the very real, moments of life with families and it is all such an honor. These family photographs are commemorating that their oldest son is heading off to college this year. Such a great idea to get family pictures taken before he moves out and gets started at school. We met at Milford Central Park and had to dodge a few minutes of rain that settled in right when we reached the back of the park before finishing their shoot. I have to say these teenagers are some of the kindest I have met. They joked together and didn't even mind when I made them hug in real close. Thanks so much for the laughs, Ells Family! 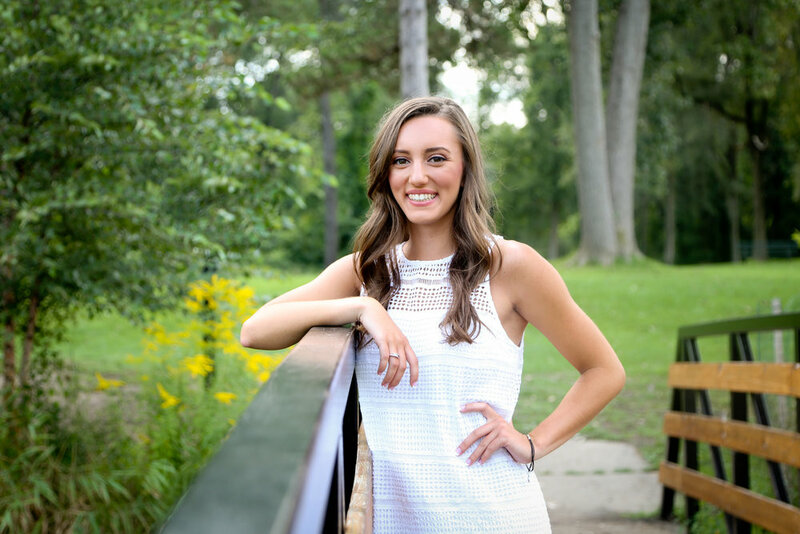 Samantha and I met for her senior pictures at Milford Central Park. Which if you have been following along on here, you know is one of my favorite places to shoot. I love the mix of gorgeous wooded areas, the river and bridges, and the urban backdrops that are a quick walk away in downtown Milford. I feel like I have spent more weeknights over at the park than at my house these past few weeks and I am loving it. Anyways, not only was the location perfect, but Sam totally rocked her session and we had so much fun the whole time. She made conversation easy, she was up for anything (even when I asked her to happily splash around in the river,) and was passionate about her athletics and high school teams. My heart melted a little as I slowly started to realize that Sam really reminded me of myself when I was her age. She also shared with me that she was interested in becoming a photographer after college. I would have said the same thing at her age, and was happy to share some tips with her as to how she can start working towards that goal right now. If Sam in front of the camera is any insight into how she will be behind the camera she will be on the fast road to success. Happy senior year to you, Sam!